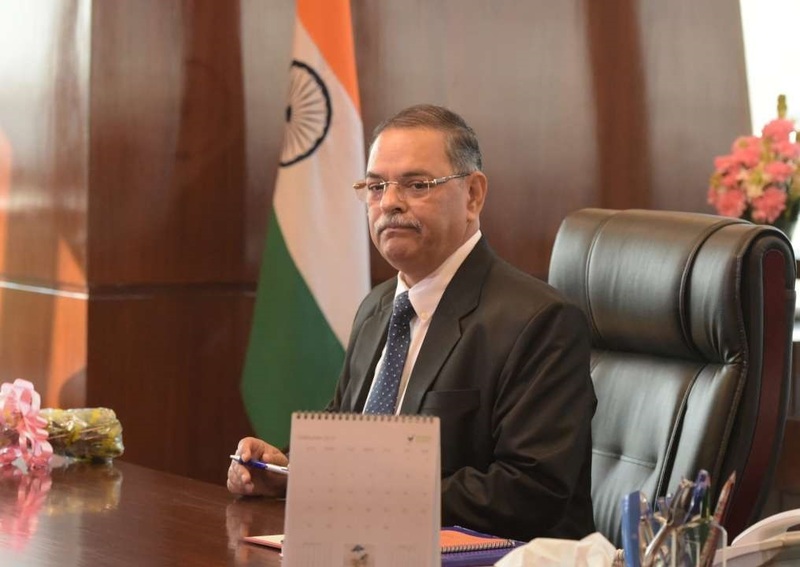 Senior IPS officer 58-year- old Rishi Kumar Shukla (1983 batch- Madhya Pradesh Cadre) has been appointed as the CBI (Central Bureau of Investigation) Director for a period of two years. Earlier, M Nageswara Rao was appointed as interim chief of the CBI (No. 3) after the government stepped in between the fight of CBI Director Alok Verma and Special Director Rakesh Asthana. The Central Bureau of Investigation (CBI) is the premier investigating agency of India, headed by the Director. CBI Operating under the jurisdiction of the Ministry of Personnel, Public Grievances and Pensions. The CBI headquarters are located at Lodhi Road in New Delhi. Former Nepal’s law minister Nilambar Acharya has been appointed as the Country’s Ambassador to India. Mr. Acharya was Law Minister in the interim government (in 1990). Earlier, Mr Acharya has been served as a member of Eminent Persons Group formed by India and Nepal on bilateral relations. The post of Nepalese ambassador to India was lying vacant science Deep Kumar Upadhyay resigned in October 2017 to join politics. Sri Lanka celebrated the 71st Independence Day in a grand ceremony at the Galle Face Green in Colombo. Maldives President Ibrahim Mohamed Solih attended the function as the guest of honour. Ending 133 years of colonial rule, Sri Lanka, then Ceylon, gained independence from Great Britain on 4th February 1948. Sri Lanka (officially the Democratic Socialist Republic of Sri Lanka) is an island country in South Asia, located southeast of India and northeast of the Maldives. The Union Ministry of Road Transport and Highways has launched the National Road Safety Week with a host of initiatives planned for generating awareness and sensitizing people about safe road usage. The Union Ministers Nitin Gadkari flag off a motor car rally to commemorate the 150th Birth Anniversary of Mahatma Gandhi at Gandhi Smriti and Darshan Samiti, Rajghat, New Delhi. The rally will travel through places historically associated with Gandhiji, both in India, as well as in Bangladesh and Myanmar. It will conclude at Yangon in Myanmar on the 24th of this month, covering a total distance of 7250 km. Former Planning Commission member Mr. Hiten Bhaya (98-years) passed away in Delhi. Bhaya was a member of the Planning Commission in the Rajiv Gandhi government. He had also served as director of the Indian Institute of Mass Communication (IIMC) and chairman of Hindustan Steel. The head of state of Monaco, Prince Albert II has arrived in New Delhi on a week-long visit to India. Prince Albert will attend the India-Monaco Business Forum afternoon followed by a round-table on energy and climate. Prince Albert II will visit Udaipur in Rajasthan. Monaco is a sovereign city-state, country, and microstate on the French Riviera in Western Europe. France borders the country on three sides while the other side borders the Mediterranean Sea. About 10,000 programmed Tulip bulbs in 8 varieties of different colour were imported from the Netherlands and have been planted in the Mughal Gardens. The people will also be able to visit the Spiritual Garden, Herbal Garden, Bonsai Garden and Musical Garden. The Mughal Gardens will remain open to the general public from 6th Feb to 10th of March between 9:00 AM to 4:00 PM. From this year, an online booking facility (www.presidentofindia.gov.in) has been introduced under which visitors can plan their visitto the Gardens well in advance. According to Union Minister K J Alphons, the country's tourism sector fetched 234 billion US Dollar revenue last year, registering a growth of over 19%. Vani Kapoor has become the first Indian golfer to receive Australian Women's PGA Tour (LPGA) card. Vani played 71, 78 and 69 cards in the first qualifying tournament played at Balatar Golf Club. He is jointly tied 12th with a score of 218. In this 81 participants had participated, out of which the top 20 will get an opportunity to play in the Australian LPGA. Vani has also qualified for Vic Open, co-sanctioned by the Australian LPGA and the US LPGA. South Korean midfielder Ki Sung-yueng (30-years) has announced his retirement from the South Korean national team. Ki played for South Korea in three World Cups (2010, 2014,2018) and three Asian Cups (2011, 2015, 2019). Sung-yueng made his international debut on 5th September 2008 and ended his international career as the eighth-most capped South Korean player. He is also a three-time KFA Player of the Year, having received the top honour in 2011, 2012 and 2016.